Mizzle – to rain in fine, mist-like drops. Words and phrases occupied my discussion with Jim Mora on Critical Mass today. Douglas Coupland has written a Dictionary of the Near Future which names some of the sensations we may not yet be aware we’re feeling. AIRPORT-INDUCED IDENTITY DYSPHORIA Describes the extent to which modern travel strips the traveller of just enough sense of identity so as to create a need to purchase stickers and gift knick-knacks that bolster their sense of slightly eroded personhood: flags of the world, family crests, school and university merchandise. DENARRATION The process whereby one’s life stops feeling like a story. KARAOKEAL AMNESIA Most people don’t know the complete lyrics to almost any song, particularly the ones they hold most dear. LYRICAL PUTTY The lyrics one creates in one’s head in the absence of knowing a song’s real lyrics. From words of the near future to those which are no longer widely used: At the Phrontistery you’ll find the International House of Logorrhea – a free online dictionary of unusual words to enhance your vocabulary. It’s the work of Forthright who has, since 1996, been compiling word lists in order to spread the joy of the English language. it should not be so long and complex to be useless in conversation. A medical certificate of illness excusing student’s sickness. Rarely used today except in Britain, and then only in the context of degrees and courses considered as passed by a student too ill to finish the appropriate material. Aegrotat is the only surviving remnant of the Latin verb aegrotare. A confused mass of objects or people; any disordered mixture. This is an excellent term to describe the chaos evident in a crowd, jumble sale, or any drawer in my home. It’s not just a mess, but adds the extra context of confusion and clutter. That is a perfect description for my desk. Nonsense; a confused mixture of unrelated things. This very cordial-sounding word is extraordinarily useful in contexts where one wishes to inform someone that their ideas are bafflingly ridiculous and incoherent without seeming overly impolite. It combines the senses of ‘incoherent’ and ‘ridiculous’ into a unique and useful term. Then Esquire has come up with a euphemism generator. It instructs you to take an action verb and add an animal, plant or job title. The example it gives is soaking the seamstress. I have no idea what that means but it did remind me of a favourite phrase of a former flatmate – fondling armadillos – which was used to describe time wasting, presumably because the armadillo’s hard shell would prevent it from feeling the fondling. Lambing is one of the most rewarding times in the sheep farmers’ calendar but it can also be one of the most heartbreaking. Losing thousands of lambs has a high financial cost. It also has an emotional one. Trying to help lambs and ewes in bad weather is hard physical work and it’s heartbreaking when in spite of your best efforts stock die. On Nine to Noon this morning Lyn Freeman spoke about the trials to Southland farmers David Rose, Federated Farmers Adverse Events spokesperson and Don Nicolson, Feds president. One of the questions she asked was whether it would be better to lamb at another time. David gave a similar answer to one I wrote on yesterday’s post about the snow – you can get bad weather at any time and lambing has to be timed to meet the feed cycle. Every time there’s a bad storm during lambing people who don’t understand farming ask why farmers don’t do more to protect their stock. The simple answer is they do all they can but in really bad weather that’s not enough. It’s not like overseas where they have smaller flocks and lamb inside. Here where we have much larger flocks and it’s humanly impossible to give the nurturing required to beat nature’s worst. 1. What is Dichlorodiphenyltrichloroethane commonly known as and what is it used for? 2. What are the first six letters in the Nato (phonetic ) alphabet used for radio, telephone and military communications. 3. Who said “Clever and attractive women do not want to vote; they are willing to let men govern as long as they govern men.”? 4. Who is the patron saint of florists? 5.What is the birthstone for September? Mr Gronk got three right. Bearhunter got three, a bonus for lateral thinking and a happy birthday. Chris wins the electronic bouquet for a perfect score and a happy birthday. Andrei got three right and a sigh for true but cynical for his last answer. This Tuesday’s Poem is My Soul’s Companion by Doug Poole. It’s a prose poem and is accompanied by a painting by the poet’s partner, Penny Howard. Among the other contributions from Tuesday poets linked in the sidebar are Afterword by Clare Beynon and Harvey’ McQueen’s Unexpected Tui. What’s the point of DHB elections? When we elected health boards using First Past the Post we had wards which gave us a reasonable chance of knowing at least one of the candidates for whom we could vote. When STV was introduced we lost the wards and now have to vote for up to four members for the Otago Constituency of the Southern District Health Board. There are 11 people standing for those four positions. That is an improvement on the 20 plus who stood in previous elections but I’d be very surprised if anyone knew enough to intelligently rank all 11 and most will be struggling to find four they know enough about to support, or not, with confidence. I don’t know any of the candidates very well but have met four of them and know of one more. I will probably vote for one and may support a second but definitely won’t be voting for the others I know or any of those I don’t know. This shows up shortcomings with the STV system – it may be good in a small area where people know the candidates or can find out about them easily, but it’s not good for a whole province. Dunedin city voters have the numerical advantage, it’s too expensive for candidates to promote themselves everywhere and most voters will know little if anything about most of those seeking their votes. But whatever the voting system I wonder what’s the point in elections for DHBs? The chair and half the board members are government appointees and elected or appointed, all board members are answerable to the government. Allowing elections was an attempt by Labour to convince us we had local control over health boards. We don’t. They are there to run hospitals and health services for the government and they’re answerable to the Minister of Health. I don’t have a problem with that but wonder why we have to go through the charade of elections which are really just an expensive exercise designed to make us feel we have some control when in practice we don’t. 1217 Livonian Crusade: The Estonian tribal leader Lembitu and Livonian leader Kaupo were killed in Battle of St. Matthew’s Day. 1411 Richard Plantagenet, 3rd Duke of York, claimant to the English throne, was born (d. 1460). 1745 Battle of Prestonpans: A Hanoverian army under the command of Sir John Cope was defeated, in ten minutes, by the Jacobite forces of Prince Charles Edward Stuart. 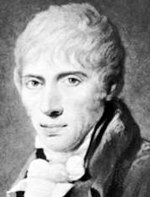 1756 John MacAdam, Scottish engineer and road-builder, was born (d. 1836). 1792 The National Convention declared France a republic and abolished the monarchy. 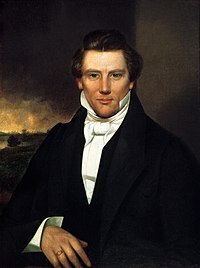 1827 Joseph Smith, Jr. was reportedly visited by the angel Moroni, who gave him a record of gold plates, one-third of which Smith has translated into The Book of Mormon. 1834 Betty Guard and her children were rescued from Ngati Ruanui (who had held them captive in Taranaki since April) by troops from HMS Alligator and Isabella. 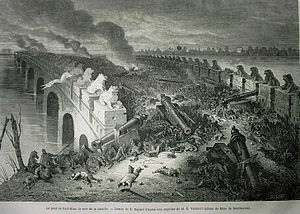 1860 In the Second Opium War, an Anglo-French force defeated Chinese troops at the Battle of Baliqiao. 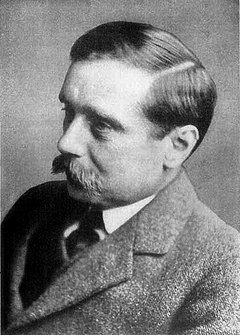 1866 – H. G. Wells, English writer, was born (d. 1946). 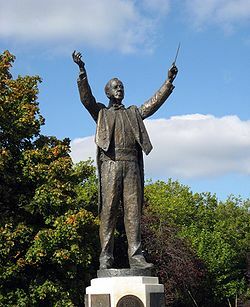 1874 Gustav Holst, English composer, was born (d. 1934). 1897 The “Yes, Virginia, there is a Santa Claus” editorial was published in the New York Sun. 1898 Empress Dowager Cixi seized power and ended the Hundred Days’ Reform in China. 1902 Sir Allen Lane, British founder of Penguin Books, was born (d. 1970). 1921 A storage silo in Oppau, Germany, exploded, killing 500-600 people. 1934 A large typhoon hit western Honshū killing 3,036 people. 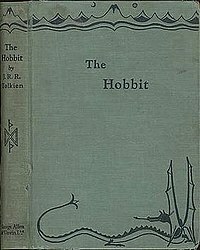 1937 J. R. R. Tolkien’s The Hobbit was published. 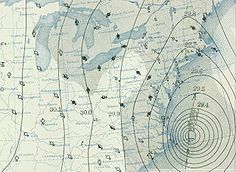 1938 The Great Hurricane of 1938 made landfall on Long Island, killing an estimated at 500-700 people. 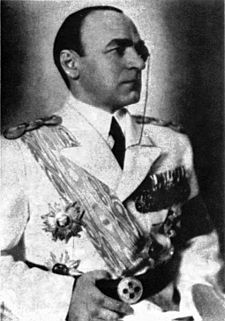 1939 Romanian Prime Minister Armand Calinescu was assassinated by ultranationalist members of the Iron Guard. 1942 On the Jewish holiday of Yom Kippur, Nazis sent more than 1,000 Jews of Pidhaytsi to Belzec extermination camp. 1942 In Poland, at the end of Yom Kippur, Germans ordered Jews to permanently evacuate Konstantynów and move to the Ghetto in Biała Podlaska, established to assemble Jews from seven nearby towns. 1942 In Dunaivtsi, Ukraine, Nazis murdered 2,588 Jews. 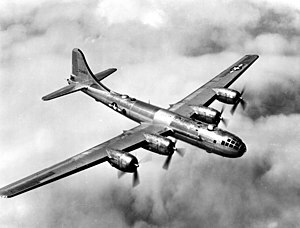 1942 The B-29 Superfortress made its maiden flight. 1947 Stephen King, American author, was born. 1947 Don Felder, American guitarist (Eagles), was born. 1950 Bill Murray, American comedian and actor, was born. 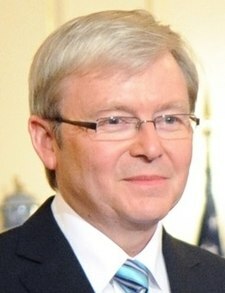 1957 Kevin Rudd, 26th Prime Minister of Australia, was born. 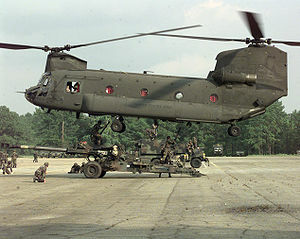 1961 Maiden flight of the CH-47 Chinook transportation helicopter. 1964 Malta became independent from the United Kingdom. 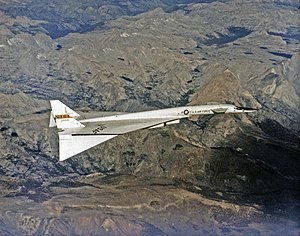 1964 The XB-70 Valkyrie, the world’s first Mach 3 bomber, made its maiden flight from Palmdale, California. 1965 David Wenham, Australian actor, was born. 1972 Philippine President Ferdinand Marcos signed Proclamation No. 1081 placing the entire country under martial law. 1976 Orlando Letelier, a member of the Chilean socialist government which was overthrown in 1973 by Augusto Pinochet, was assassinated in Washington, D.C.
1978 Doug Howlett, New Zealand rugby union footballer, was born. 1981 Belize was granted full independence from the United Kingdom. 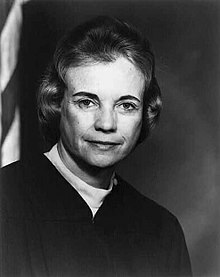 1981 Sandra Day O’Connor was unanimously approved by the U.S. Senate as the first female Supreme Court justice. 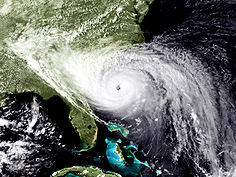 1989 Hurricane Hugo made landfall in South Carolina. 1991 Armenia was granted independence from Soviet Union. 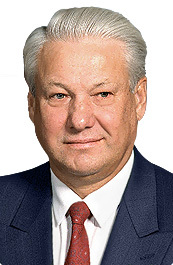 1993 Russian President Boris Yeltsin suspended parliament and scrapped the then-functioning constitution, thus triggering the Russian constitutional crisis of 1993. 1999 Chi-Chi earthquake in central Taiwan, left about 2,400 people dead. 2004 The Communist Party of India (Marxist-Leninist) People’s War and the Maoist Communist Centre of India merged to form the Communist Party of India (Maoist). 2008 Goldman Sachs and Morgan Stanley, the two last remaining independent investment banks on Wall Street, become bank holding companies as a result of the subprime mortgage crisis. You are currently browsing the Homepaddock blog archives for the day Tuesday, September 21st, 2010.